I had the pleasure of meeting Angela Langford a couple of months ago at The Glow Getter Gathering and really liked both her and her approach to skin care. First of all, Angela is a talented chef (she even made the final of Masterchef…) and takes great care to understand each of the ingredients she uses in her cooking. In exactly the same way, Angela is meticulous about the ingredients she uses in her skincare, with cruelty free, 99% natural ingredients. Having tested out some of her products, I really think this pays off. I’ve been trying out the Bloom and Glow face oil* as part of my morning skin care routine. Whenever I’m looking for a face oil for my morning routine, I’m after something that keeps my skin calm but absorbs quickly into my oily skin. This deep amber oil does just that. The oil is made up of Vitamin E which is great for helping my (previously acne damaged) skin to heal, whilst Evening Primrose oil helps to retain moisture in the skin. Chia seed, jojoba, bisabolol (derived from chamomile) and my all time favourite, rosehip oil, work well to balance the skin and reduce redness. Sea buckthorn, neroli and rose geranim do a really good job at calming and healing the skin and rose geranium acts to clear congested skin. The rose geranium also gives this oil a light, fresh scent which is lovely in the morning. I’m generally fairly useless at describing scents, but what I can say is that I really like the way this oil smells. The packaging is pretty and simple and is a recyclable glass bottle. Angela also sends three hand picked samples with every order, which gives a great chance to try some other products from the range. I’ve tested this with the Sweet Cheeks cleanser (mini review: lovely!) and Balancing Act moisturiser (equally lovely!). 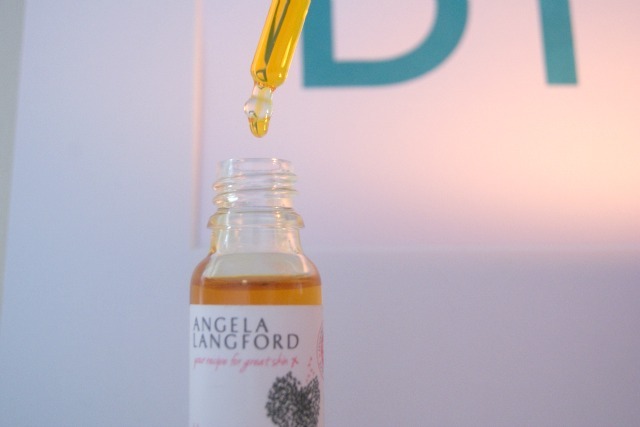 Facial oils of this quality (using excellent ingredients and expertly crafted) can reach eye watering prices, but I think Angela has priced this at a very reasonable £20.50. 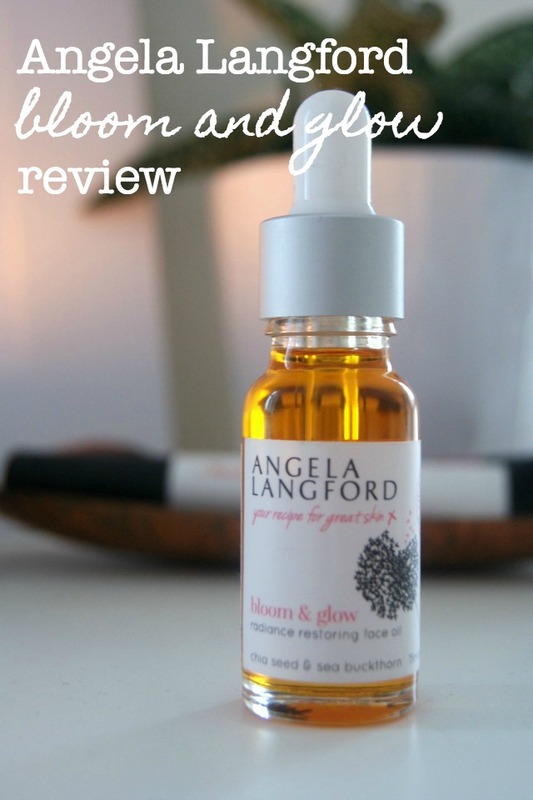 I’ll happily repurchase this once I’ve used it all and it’s available from Angela’s website. As always, I really appreciate your comments and love reading them. Have you tried any of Angela’s products?